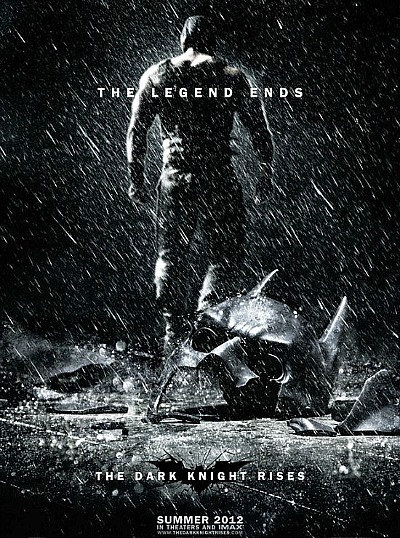 I’m not quite ready to change my “innevitably recieved as a dissapointment, regardles of it’s actual merits” projection of “The Dark Knight Rises.” But the new poster, which builds on the idea that this is the end of the story as opposed to just the part where they stop, has a lot of promise. I’ve said it before and I’ll say it again: If they did go all the way and kill Batman, that would be the kind of ballsy move that could concievably “top” the last one. That's how Superman returns could have been an awesome movie.. “Superman ends.” the resolution to all of the things going on, then it would have been worth pulling the same continuity back instead of a re-boot. Bitchin'. Also, did someone say “black and white color palate” and “but that seems like itd be way to boring for a whole movie” in the same sentence? Never seen am classic have we? That being said, killing the main character of a series is a good way to make “prequels” seem more meaningful.